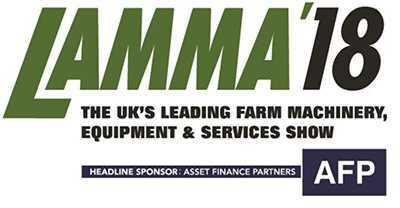 Mastenbroek will be exhibiting at this year’s LAMMA Show on Wednesday 17th and Thursday 18th January. The show opens at 07:30 on both days, but closes at 17:00 on Wednesday and at 16:30 on Thursday. The event is being held at the East of England Showground, Peterborough, PE2 6XE. We’ll be at stand no. B64, which will feature a Mastenbroek CT/12 crawler truck and P15 drain jetter, Herder mowers, mowing baskets and tree shears, as well as the latest Trimble Ag laser and GPS equipment. Our team will be available to answer any of your questions regarding other Mastenbroek products. We hope to see you at the show! 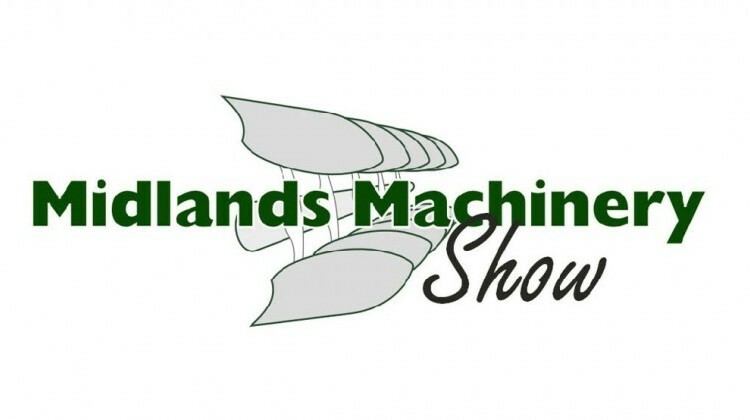 We’re pleased to announce that Mastenbroek will be exhibiting at this year’s Midlands Machinery Show on Wednesday 22nd and Thursday 23rd November. The doors open at 08:00 on both days, and close at 17:00 on Wednesday 22nd, and 16:00 on Thursday 23rd. The event is being held at the Newark Showground, Lincoln Road, Winthorpe, Newark, NG24 2NY. We’ll be at stand no. JCH2-9, which will feature a Mastenbroek P-15 drain jetter, Herder mowing baskets, along with the latest Trimble Ag GPS products. Our team will also be on hand to answer any of your questions regarding other Mastenbroek and Conver products. We hope to see you there! 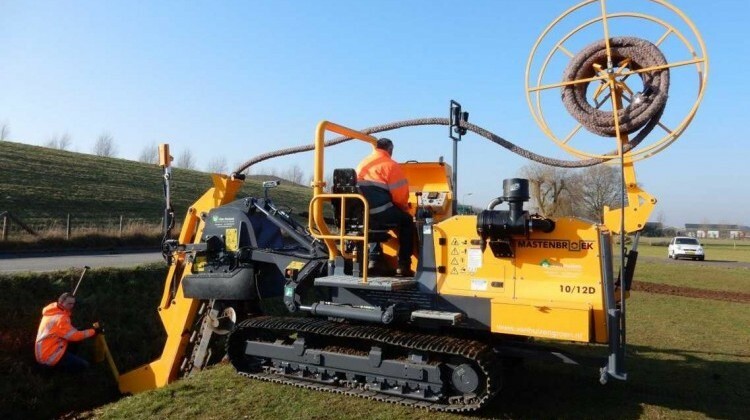 The model 1012D is now EU stage 4 / tier 4F emission compliant, with the first trencher going to work for the Dutch contractor Van Huizen , using a quiet and fuel efficient Deutz TCD3.6L4 engine. 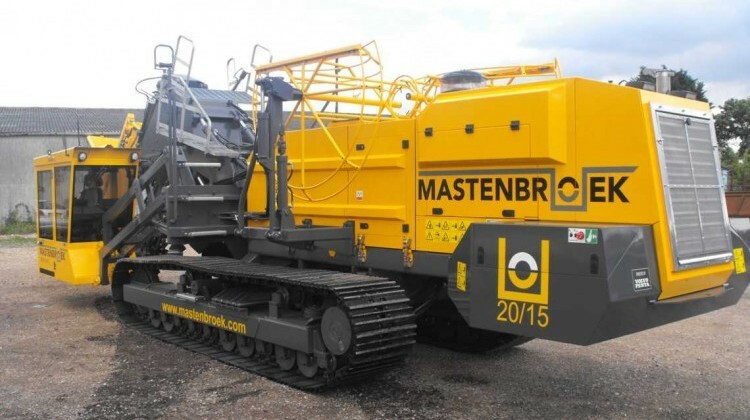 For many years Mastenbroek have lead the field in compact self-propelled precision drainage trenchers. The 1012D retains the many options which set it apart as a versatile little work horse. For example soil skirts and conveyor system to remove excavated spoil on sports turf, an off-setting trench head for glass houses and Trimble laser or GPS control for both grade and auto steer. 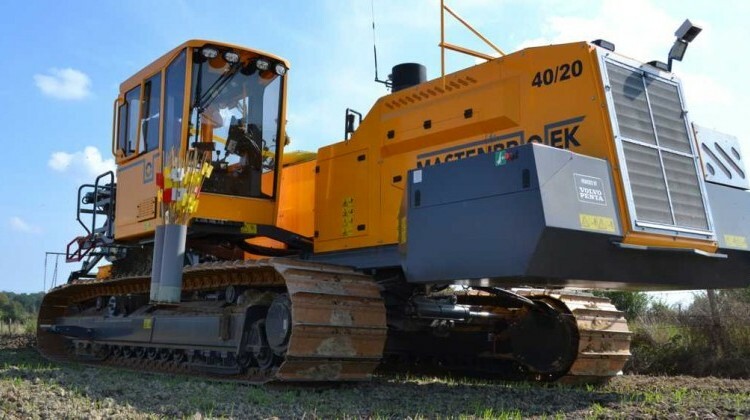 A new model, the 40/20 has been developed in response to global demand for a powerful heavy duty chain trencher which incorporates the latest technology to install on grade drainage with greater efficiency and repeatability. Maximising operator comfort, safety and staying ahead of the more stringent environmental standards in North America and Europe. The digging chain is driven by two heavy duty hydraulic motors, with selectable low / mid / high speed ranges to suit soil type. Side tilt and extendable track widths aid stability and maximise clearance for spoil from deep trenching. Yorkshire land drainage have taken delivery of the first “Volvo Penta EU Stage 4 engine” 2015 drainage trencher this year. The 238kw machine offers all the features of the previous series machine but with the important added bonus of achieving Stage 4 Final emissions standard. With Volvo Penta opting for selective catalytic reduction (SCR) technology, this system performs without regeneration or a diesel particulate filter making it a simpler, more versatile and a less costly option for our customers.The machine was purchased after a demonstration day when customers viewed the new trencher in action. 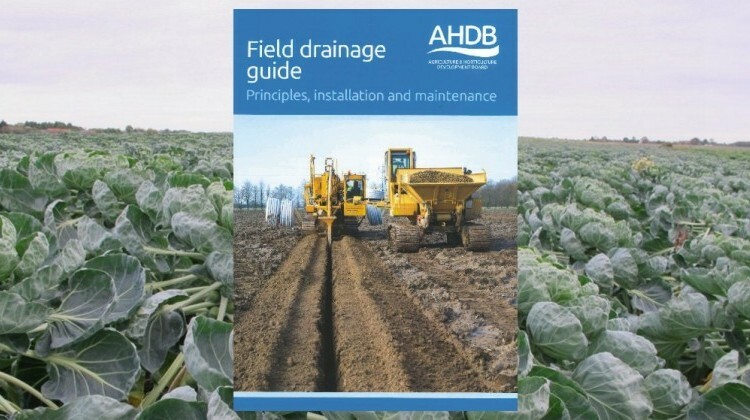 Agricultural and Horticulture Development Board (AHDB) have commissioned a report into the Field drainage guide Principle, installation and maintenance. An in-depth report into the benefits of a correctly installed and maintained field drainage system not only for arable but also livestock land.